There are many new movies released every month. But not all of them can be shown in your city. And most of the time, you may have no time to watch them in the cinema. What can you do if you want to watch the movies you missed? The best solution is to find and download them to your devices, and watch them at anytime as you like. Is there any way to download movies for free? Yes! You can download your favorite movies with no cost via InsTube. InsTube is a free video & music downloader. Its main mission is to help people download videos from various sites. With this tool, you can download full-length movies from YouTube, Dailymotion, Skymovies and more. Take YouTube as an example, let me tell you how to download movies for free with InsTube. Step 1. Download and Install InsTube on your Android mobile. You can get it from InsTube official site / uptodown, or scan the QR code directly to download InsTube APK. Step 2. 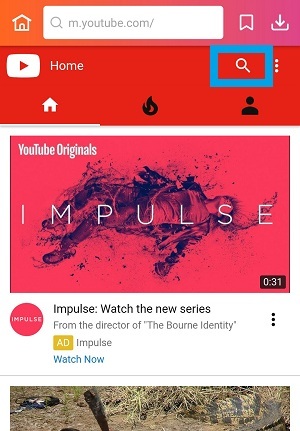 Open the InsTube app, go to YouTube site by clicking its icon on the home page. You will see YouTube at your first sight as it is placed first in “Hot Sites”. Step 3. Find the movie you want. 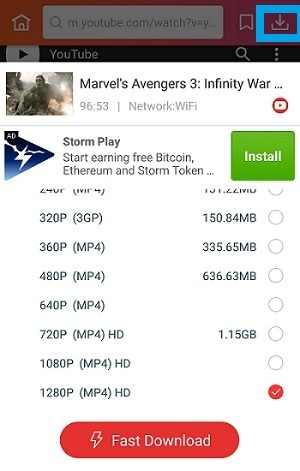 For example, if you want to download the latest Avengers: Infinity War, just type the movie’s name into the search box, then choose the video you want. Step 4. Tap the red download button and then a list of options appears. Choose the format and resolution you like. After that, click “Fast Download” and the video is downloading. You can check the video at “My Files” by clicking the download button at the top right corner. 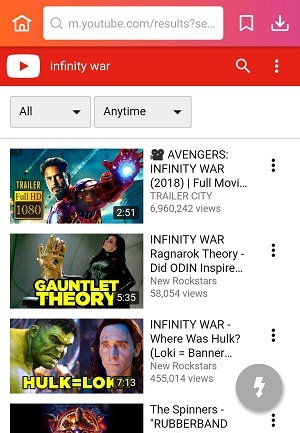 Also, your favorite movies can be saved through the YouTube app directly. 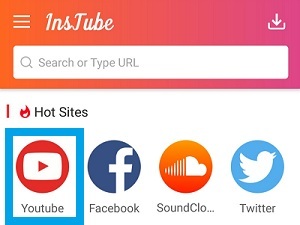 Install InsTube and open your YouTube app. Navigate the movie you want by entering the movie’s title in the search bar. Click “Share”and “Copy the link”, then the red download button appears. If it does not pop up, maybe your phone has blocked InsTube to show its download button in other apps. Go to Settings – Permission manager – Dropzone applications to enable it. Then, select the format and resolution of the movie. To watch movie clearly, you should better choose 720P or 1080P. Finally, tap “Fast Download”. The movie will be saved at a fast speed. You can find the movie in “My File”and watch it whenever you want. 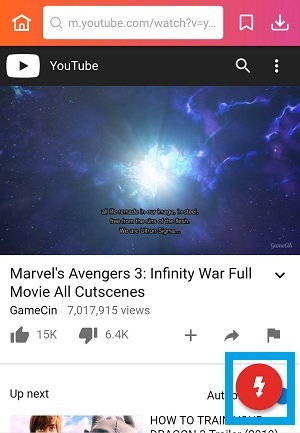 Whatever movies you find in other popular sites, InsTube will help you download on your Android phone. The Lock Feature of InsTube!